Doctors believe a man's excessive iced tea drinking -- about a gallon daily -- is what caused his previously unexplained kidney failure last year that's been keeping him on dialysis ever since. The unidentified 56-year-year-old man was admitted to John L. McClellan Memorial Veterans Hospital in Little Rock last May with weakness, fatigue, body aches and an elevated serum creatinine level, which meant his kidneys weren't functioning properly, according to the doctors' letter published in the New England Journal of Medicine Thursday. The patient's urine sample was "remarkable" for its abundance of calcium oxalate crystals, Dr. Fyed Syed and Dr. Alejandra Mena-Gutierrez told ABC News today. Both doctors treated the patient and co-authored the letter along with Dr. Umbar Ghaffar, who was not immediately available for comment. Calcium oxalate crystals are molecules that can put someone at high risk to develop kidney stones, Syed and Mena-Gutierrez said. High levels of oxalate in the body is usually due to a genetic disorder, complications from gastric surgery or consumption of antifreeze, the doctors said, but the patient's history outlined in the letter didn't match any of those explanations. An explanation was finally found after the patient admitted to drinking 16 eight-ounce glasses of iced tea daily, Syed and Mena-Gutierrez said, adding that black tea, "a rich source of oxalate," accounts for 84 percent of tea consumed in the U.S. Drinking 16 cups of tea daily, the patient consumed more than 1,500 milligrams a day, the doctors said. The Academy of Nutrition and Dietetics advises consuming no more than 40 to 50 milligrams of oxalate per day, they added. "The case presented here was almost certainly due to excessive consumption of iced tea," the authors wrote. 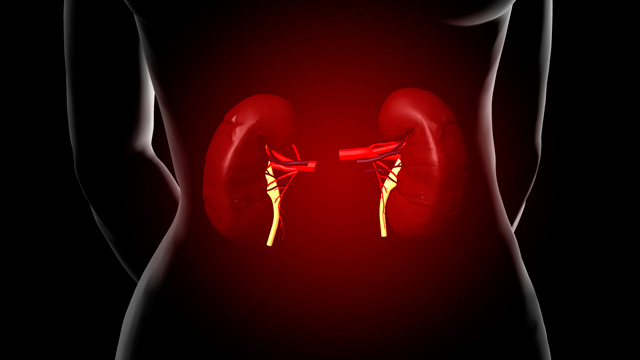 The doctors said they've had patients who've developed kidney stones from high-oxalate foods such as spinach, chocolate and coffee, but never nephropathy, or kidney damage. "This is the first time we've ever heard of iced tea causing kidney damage and failure," Syed and Mena-Gutierrez said. "It's certainly an interesting find for us." However, for those paranoid about drinking tea now, the doctors said they want to emphasize that tea in moderation is OK.
"If you're having two to three cups a day, you're probably OK as long as your family doesn't have a history of kidney disease," Syed said. "Just don't drink in excess or replace water with tea, like this man did." The patient has since been discharged, but his kidneys are still non-functioning, and he receives out-patient dialysis treatment three times a week, Syed and Mena-Gutierrez said.